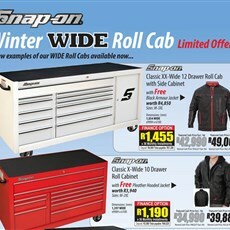 Snap-on has an awesome winter offer at the moment. 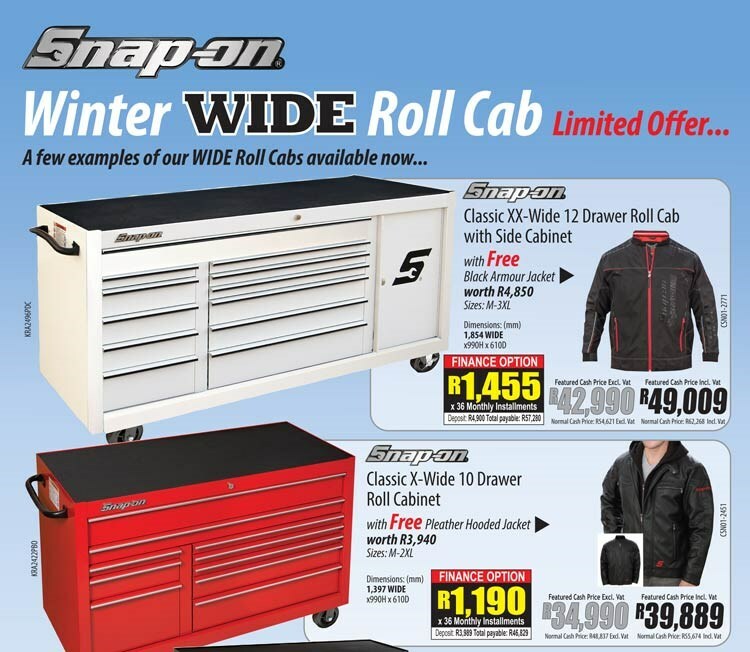 Buy one of the many wide roll cabs and get a free jacket! It is limited to the 31st July so if you have been wondering when to get your new unit, don't delay. 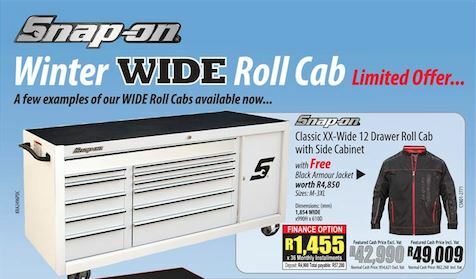 The brand has another fantastic online draw on the go too, so visit the website today www.snapon.co.za.